Does Your Property Have Fire or Smoke Damage? Fire and smoke damage is especially destructive. Whether the fire is small or large, the smoke will spread to other parts of your property. Smoke damage can leave stains, layers of soot, and odors. Our highly trained technicians here at SERVPRO of North Highlands / Rio Linda have specialized equipment and cleaning products that allow our team to restore your property to the pre-fire condition. SERVPRO of North Highlands / Rio Linda understands that you may be feeling stressed and confused more than ever, but we promise to treat your home as if it was one of our own. Until our team arrives you can follow these steps to protect yourself, your family, and your property. Ask yourself if it is safe for you and your family to stay in your property. Check to see if electrical hazards are a big concern. Also, check to see if you have any water damage from the efforts of tackling the fire. Only perform activities that are safe for you. Remember Safety First! When fire and water damage strikes, a fast response is critical. We’re dedicated to responding immediately, day or night, to your Sacramento home or business. A faster response helps to prevent secondary damage and to reduce cost. SERVPRO of North Highlands / Rio Linda is locally owned and operated—so we are part of the Sacramento community too. We are also part of a national network of over 1,700 SERVPRO Franchises and special Disaster Recovery Teams strategically located throughout the country to respond to large-scale disasters. 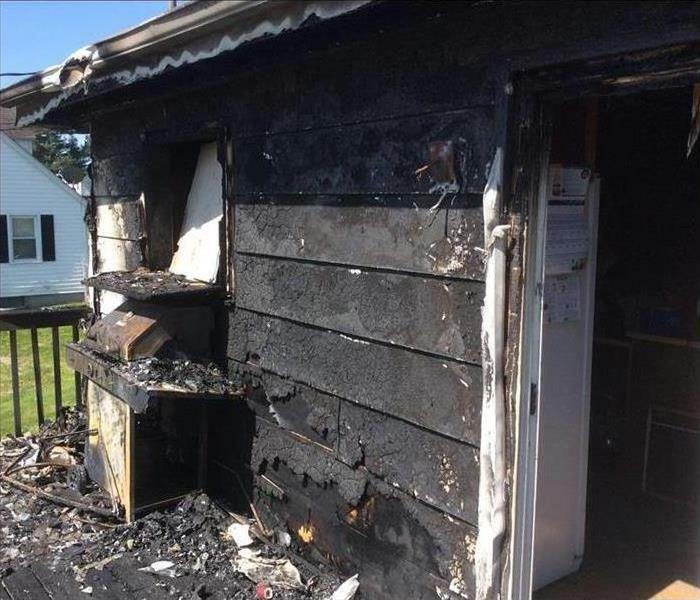 Don't let fire or smoke damage keep you from your home! We are here to help!